OSA journals allow authors to include supplementary materials as integral parts of a manuscript. 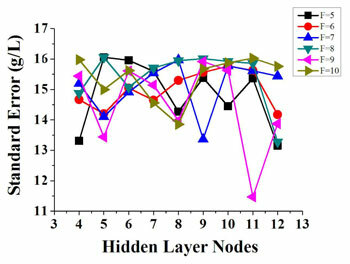 Such materials are subject to peer-review procedures along with the rest of the paper and should be uploaded and described using OSA's Prism manuscript system. Supplementary materials uploaded through Prism will be hosted in the OSA figshare portal. The material in figshare will not be publically accessible during peer review. Datasets and code may be uploaded to the OSA figshare portal or be placed in an appropriate external repository. See guidelines below. *Optica allows authors to include a supplemental document alongside letters and research articles that contains additional text, equations, citations, etc. (see Supplementary Materials in Optica for details). For all other OSA journals, supplemental text must be included as appendices within the primary manuscript. peer reviewed along with the manuscript. Image data that are appropriate for the paper but cannot be uploaded to OSA following the guidelines below can be treated as a Dataset as defined in this document. Supplementary two-dimensional (2D) image files should be included only if they provide critical information that cannot be conveyed adequately as a figure in a PDF page. 2D images should be submitted in JPEG, TIFF, or EPS format. For example, a very-high-resolution biomedical image intended for image analysis would be appropriate as a supplementary 2D visualization whereas an image, graph, or chart that could be well represented as a figure in the manuscript generally would not be. Supplementary 3D images should be submitted as a U3D (Universal 3D) object embedded in a PDF file viewable in Adobe Acrobat. Each 3D image should be placed in a separate PDF file that will be linked to the manuscript (typically as a link in a figure caption). Video files must use open compression standards for display on broadly available applications such as VLC or Windows Media Player. MOV, AVI, MPG, and MP4 video containers are accepted. 15 MB is the recommended maximum video file size. 720 x 480 pixels (width by height) is the recommended screen size. If appropriate, insert a representative frame from the video in the manuscript as a figure. Minimize file size by using an acceptable codec such as x264 or XviD. HandBrake is an open source tool for converting video to common codecs. Videos must be playable on all platforms using VLC. Animations must be formatted into a standard video container. Must be associated with a figure, table, or equation OR be referenced in the results section of the manuscript. Use the label "Visualization" and the item number to identify the visualization. Machine-readable numerical data can be useful for showing the "underlying data" in a figure image or for showing expanded information for a static table presented in a paper. Machine-readable data that are appropriate for the paper but cannot be uploaded to OSA following the guidelines below can be treated as a Dataset as defined in this document. Spreadsheet applications such as MS Excel can read and save to CSV format. To the extent possible, CSV files should be self-contained. For example, they should include meaningful column heads and provide explanatory notes as appropriate in a comments section at the top of the file. CSV files may not contain binary information such as images or equation objects and should not exceed the row, column, and character limits supported by MS Excel (for example, 65,536 rows by 256 columns) or other popular spreadsheet applications. Sample CSV file with comments. Each file should be self-contained and use the .csv file extension. Must be associated with a figure, table, or equation OR be referenced in the results section of the manuscript. Use the label "Data File" and the item number to identify the visualization. Original contributions of large datasets should be placed in an open, archival database and cited in the main reference section. To ensure that readers are aware of the materials, the first mentions should use the following convention for providing a label and item number in addition to the citation: ". . . as we show in Dataset 1 (Ref. )." Large datasets should be included as integral material that is peer reviewed along with the manuscript. Datasets can be uploaded to the OSA figshare platform or be placed in an appropriate external repository. Code and design files used by researchers are often tied to proprietary formats such as SolidWorks or Matlab, and OSA cannot reasonably ensure robust vetting, archiving, or display of such material. Nevertheless, such files can be valuable to readers and may be included as "additional" material with a paper, provided that the files are relevant to the paper and are stored and cited according to OSA's guidelines. Code and design files should be placed in the OSA figshare platform or in an open, archival repository as described for deposits of large datasets. The items should be cited as described above for large datasets, and first mentions should use the following convention to increase visibility to readers: ". . . as we show in Code 1 (Ref. )."